A common thread between the two cases is the relative absence of the international community in efforts to hold the state leaders accountable. Prosecuting Heads of State, eds. After Genocide: Bringing the Devil to Justice, Adam M. The remaining chapters of the book include eight individual case studies of heads of state or government prosecuted for human rights abuses, corruption or both. The skilfully edited Prosecuting Heads of State is a steadier read, invoking less passion but providing a solid analysis and a valuable resource for scholars and practitioners alike. Cambridge University Press, May 2009, 348pp. You can change your cookie settings at any time. Prosecuting Heads of State , eds. Ellen L. Lutz and Caitlin Reiger. After Genocide: Bringing the Devil to Justice , Adam M. Smith. Roht-Arriaza views the surge in investigations and prosecutions as a product of the distinct impact of international justice ideas and laws on the region. It provokes at times a passionate response, whether in vehement disagreement or because of a hitherto unconsidered insight into often familiar issues. While Latin America, specifically Argentina, is responsible for igniting the international trend to hold state actors accountable, European countries were some of the first to attempt such trials. After Genocide is essentially a tale of justice, particularly its challenges and failures. The next two chapters document the trials against former leaders, Joseph Ejercito Estrada of the Philippines, and Frederick Chiluba of Zambia, who were charged with large-scale corruption. While hundreds of military and government officials have been indicted for criminal activities, the book limits its attention to heads of state or government. This is the only book that examines the rise in the number of domestic and international trials globally and tells the tales in readable prose and with fascinating details. Prometheus Books, January 2009, 375pp. Prosecuting Heads of State , eds. Lynch, Department of Political Science, University of Minnesota. This chapter also highlights the significant role of transnational human rights activists in propelling prosecutions forward and it demonstrates that despite certain legal and political barriers, judicial processes based outside of a country can have a significant impact on the prospect for justice domestically. 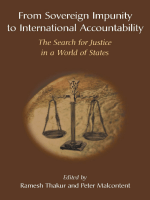 The findings of this book contribute to current debates within the transitional justice literature concerning how states choose accountability mechanisms and the impact of justice on stability and democratic governance. Drawing on an analysis of the 65 cases, the book examines the emergence of regional trends in Europe and Latin America and contains case studies of high-profile trials of former government leaders: Augusto Pinochet Chile , Alberto Fujimori Peru , Slobodan Milosevic former Yugoslavia , Charles Taylor Liberia and Sierra Leone , and Saddam Hussein Iraq — studies written by experts who closely followed their cases and their impacts on wider societies. 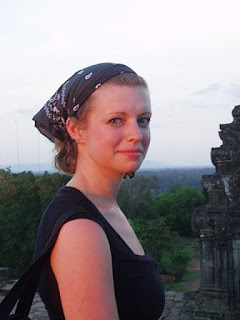 International Journal of Transitional Justice Oxford Academic Citation Alison Smith; Prosecuting Heads of State , eds. Smith, Alison 2011-07-22 00:00:00 Book Reviews 325 Although neither author provides easy solutions to the dilemmas they raise, both books inform ongoing debates, pushing the boundaries of thinking about the relationship between international and local norms, culture and meanings of justice. After Genocide: Bringing the Devil to Justice, Adam M. One promising future inquiry, touched upon briefly in the book, would involve an investigation into why several Asian countries tend to take on cases involving corruption charges more often than cases of human rights abuse given this is not the trend in other regions. The Chilean Supreme Court decision to permit the extradition of Fujimori to Peru signaled the power of state cooperation on judicial matters involving human rights violations. Prosecuting Heads of State, eds. After Genocide: Bringing the Devil to Justice , Adam M. These prosecutions were followed by trials of military officials in Greece as the country transitioned from authoritarianism in the mid-1970s, trials at the end of the Cold War throughout Eastern Europe, the development of the first international court to indict a sitting head of state for war crimes and crimes against humanity, and a handful of recent corruption charges against state leaders, including Silvio Berlusconi and Jacques Chirac. The book concludes with a chapter in which the editors assess several broad themes emerging from their data on the sixty-seven indictments of heads of state and government since 1990, regional surveys and the eight case studies. The controversial role of the U. Out of ninety-nine indictments against sixty-seven heads of state or government, only seventeen served some form of sentence p. Accountability processes continue to be plagued by government refusals to extradite indicted leaders; however, the Fujimori case demonstrates the existing opportunities for domestic courts to counter this trend. The trial of Saddam Hussein, documented in compelling detail by Miranda Sissons and Marieke Wierda, has also been considered by many to be a missed opportunity. After Genocide is essentially a tale of justice, particularly its challenges and failures. Corruption cases are also discussed in the chapter, though unlike human rights cases, few of these have progressed beyond the investigating stage. Tejan-Cole argues that the Taylor trial signals to other African leaders and their publics that the legacy of impunity in the region has begun to unravel. After Genocide is essentially a tale of justice, particularly its challenges and failures. It provokes at times a passionate response, whether in vehement disagreement or because of a hitherto unconsidered insight into often familiar issues. It becomes evident here and through later chapters that the barriers that confront efforts to hold state leaders accountable are not confined to politically unstable societies. © Copyright 2010 by the author, Moira K. Lars Waldorf eloquently captures the complex context surrounding the trial of former Rwandan president, Pasteur Bizimungu. Many of these leaders were brought to trial in reasonably free and fair judicial processes, and some served time in prison as a result. This book explores the reasons for the meteoric rise in trials of senior leaders and the motivations, public dramas, and intrigues that accompanied efforts to bring them to justice. After Genocide: Bringing the Devil to Justice , Adam M.